It isn't just Wisconsin wetlands and the water here that are being privatized, polluted and drained. It's the democracy itself. Scott Walker is sacrificing to Big Business for GOP partisan permanence the democratic processes long-managed by bipartisan, Wisconsin Department of Natural Resources commonsense that provide and protect our state's clean water. Despite the Wisconsin State Constitution saying the waters of the state belong to everyone, and that courts have ruled that the DNR must manage water's value and access with the public's interest first, according to the DNR itself. Having noted in recent posts about the Kohler golf course, and Kewaunee County CAFO operations and a major sand mine wetlands filling case that DNR reviews and public hearings have minimized science, public input and resource protection, let me also catalogue below some of the warnings issued by experts about this intentional, Walker-era damage. And what is going to underly years soon-to-be-allowed toxifying metals' mining, and through wetland filling and environmental disregard by and for Foxconn, and, if not checked, for everyone who wants to fill any of one million acres of state-protected wetlands for private gain in Wisconsin. Often described as “isolated,” these wetlands are presumed by some to be low value. But they are not low value or truly isolated. Groundwater flows and the movement of plants and animals across the landscape connect “isolated” wetlands, enabling them to provide many of the same services as other wetlands, like purifying water. Many isolated wetlands also support plants and animals that occur nowhere else and are totally dependent on these wetlands. One of the biggest impacts of this bill would be to allow drainage of isolated wetlands. To drain an area, a water outlet would be created to the nearest stream or other waterbody. During rain events, that would allow the floodwaters, nutrients and sediments the wetlands formerly stored to be flushed to the nearest stream, causing more water quality and flooding impacts downstream. DNR administrators support any development project regardless of environmental impacts. They are not interested in the environment or public health. If they can't maneuver around the law by bending it, the legislature simply changes the law. Rich Republican donors feel free to call up the DNR Secretary and Governor and demand that their projects go through. This puts pressure on legislators and DNR upper management. It has created an atmosphere of desperation at all levels of the DNR. They are stealing your water, polluting your air and compromising your health and wealth. We deserve better. Big Business was prioritized over small business, environmental protections and individuals, Big Ag over family farms, private schools over public schools, development over wetlands and endangered species, bear and wolf hunting over established science, CAFOs over groundwater protection, and for-profit privatization over previously public services. What happened to...the ideal of the commons? Decisions on permits, policies, responses to FOI's [freedom of information requests] are all made by Division Administrators (political appointees). Routine for permit applicants to meet with senior staff (Secretary's Office) with no front line staff working on permits attending - or even notified of these meetings. * These remarks below were among those added with permission to an updated version of the post from Gordon Stevenson, an engineer, 26-year DNR veteran, and author of the first permits for CAFOs in Wisconsin as Chief of Runoff Management. For the majority of my career, water policy decisions were based on the strong bond between law and science, the people in charge of making those decisions had conservation and environmental protection credentials, and my colleagues and I shared the belief that Wisconsin's true and sustaining wealth is its clean water. Wisconsin DNR's authority to protect Wisconsin's water resources is delegated from EPA. Under the delegation agreement, DNR is obligated to administer the federal Clean Water Act. DNR is not doing so. On behalf of 16 Wisconsin citizens, Midwest Environmental Advocates has filed a Citizens Petition for Corrective Action with the US Environmental Protection agency to correct these deficiencies. The petition seeks to restore the credible water quality protection program that we once had in this state. I am even more encouraged that so many Wisconsin citizens believe like I do: that water policy decisions should be based on the strong bond between law and science, that the people in charge of making water quality decisions should have the credentials to do so, and that Wisconsin's true and sustaining wealth is its clean water." In addition, DNR management has made it clear to staff that environmental advocacy is no longer the core mission of DNR and staff are disallowed from doing so. What was once a guardian of Wisconsin’s natural heritage is now reduced to a rubber-stamping vendor of licenses and permits without oversight. The article about the new DNR chief lawyer, appointed by Walker, is frightening. 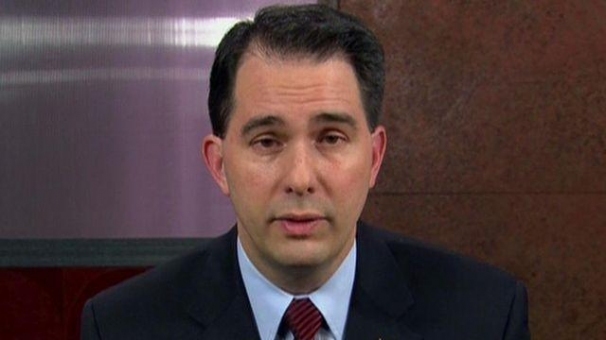 Just a reminder that before Walker, agencies hired lawyers through the civil service process. Walker added these governor appointed chief legal counsels to each agency so that he could control what they did. These appointees are political appointees who have to do the bidding of the governor. Good point. I will add that. Thanks.